Question: I want to make some freezer meals to prepare for an upcoming baby in the house. When making casseroles or layered dishes (like lasagna) I want to put them in aluminum foil 9x13 pans. How do I cover it though to keep it from spoiling? Is covering it with foil enough? It will be stored in a deep freeze for up to 4 months. Answer: Congrats on your soon-to-be new arrival! Yes, you can just cover the aluminum pan with foil and freeze it since aluminum foil is a freezer quality material. 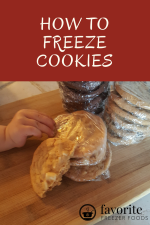 Since these will be in the freezer awhile I'm also going to suggest you get some large freezer bags (the 2 gallon size holds a casserole). The bags give an extra layer of protection since foil can tear easily. Plus, you can reuse the bags the next time you're freezing casseroles. P.S. Some people recommend covering the casserole with a layer of plastic wrap then the foil. I do not because it's not going to help much and you have to remember to take the plastic wrap off. With just the foil over the casserole it can go in the oven covered if you want and you don't have to fuss around taking off the plastic. P.S.S. Some people like to layer aluminum foil in their pan then make their casserole, cover it and freeze. After the casserole is frozen solid you can pop it out of the pan and put it in your freezer bag. Then you can reheat it in your pan later. This way you don't have to buy aluminum pans all the time. I like making casseroles but is it ok to freeze before baking or should you bake them first? Answer: Freezing casseroles before baking is totally fine. Actually, you're less likely to overcook them if you freeze it before baking. 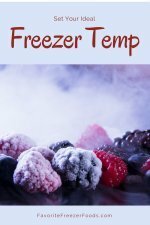 From frozen: Expect to add 50% to the cooking time and you might also want to reduce the oven temp by 25 degrees Fahrenheit. Be ready to cover your casserole in aluminum foil so the top doesn't get too brown. Or thaw and bake per usual. I'm making enchiladas for a football team of 20. Would it be better to bake and then freeze them or freeze them after assembled and then bake? Answer: I would freeze them before baking. Make sure you have plenty of sauce covering the tortillas and you won't even have to worry about freezer burn. Here's more info on freezing casseroles and will give you a guide to adjusting the cooking time.